Liftmaster Garage Door Opener Installation | Amazing Warranties! We feel they are the best openers on the market. 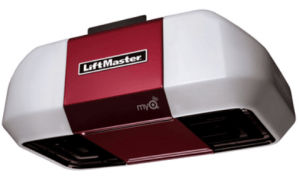 All models include Liftmaster security garage door opener features. They deliver proven reliable mechanical and electronics performance year after year. They offer a superb factory warranty. Liftmaster offers second-to-none factory support. 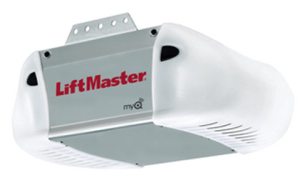 Chamberlain offers 3 levels for our Liftmaster garage door opener installation service. All new garage openers come with inside push-button wall unit, safety sensors, remote control(s), a one-piece solid rail, and MyQ® technology for added peace of mind. Our garage door technicians remove your existing opener, if required, at no additional charge. Then they install your new opener for optimal performance and quiet operation. The system that is right for you depends on budget, garage dimensions, and how you use automated access. Call 281-252-3346 for a free estimate on the right garage door opener for your garage or shop.